Hello Reader! Bill Murray Fan Are we? I am and love the way he looks and acts here. Interested? Check the news and trailer below. 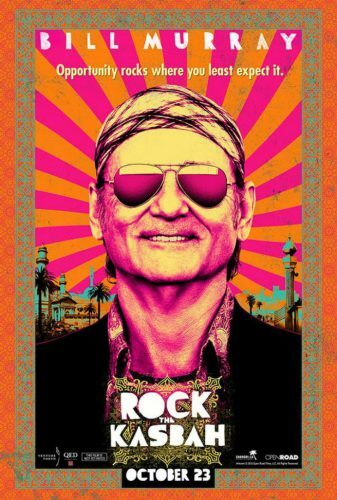 Rock The Kasbah has some pretty big old stars and features a trippy colorful poster with Bill Murray Rocking a Bandana.From the trailer the film looks to a be a fun watch bringing back some classic Bill Murray which I can’t wait for. Check the trailer and let me know what you think. Rock The Kasbah Stars: Bill Murray, Bruce Willis, Zooey Deschanel, Scott Caan, Danny McBride, Kate Hudson and is due to hit Big Screens on October 23, 2015. Plot: A down-on-his-luck music manager discovers a teenage girl with an extraordinary voice while on a music tour in Afghanistan and takes her to Kabul to compete on the popular television show, Afghan Star. X-Men Days of Future Past: Gains Trailer, Does it Gain Likes?